Lubuntu is no longer a low system requirements Linux distribution for older computers. A post on the Lubuntu website mentions that with the transition to LXQt, Lubuntu "is shifting from providing a distribution for old hardware to a functional yet modular distribution focused on getting out of the way and letting users use their computer". Lubuntu continue to be a lightweight Ubuntu-based Linux distribution but there will no longer be any minimum system requirements, and older hardware will no longer be a primary focus. According to the article, most Linux distributions today can run on a 10 years old computer, so other distributions can now do what Lubuntu was once created for. 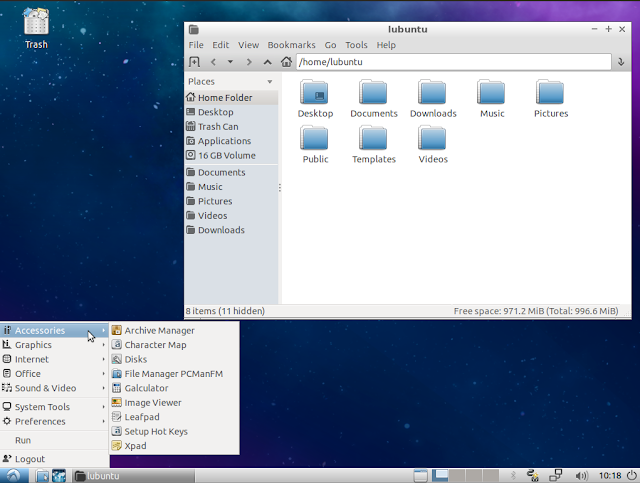 As a result, the Lubuntu goals have changed and are now to use modern, Qt-based technologies and programs that provide a functional yet modular experience. The LXQt-based Linux distribution will continue to provide a lightweight experience by default, but it will make it easy for users to use more resource heavy components if desired. The truth is, hardware from 10 years ago is still pretty decent. Also, you can now run what were once considered "heavy" Linux distributions, like Kubuntu, on a 10 year old computer, and Lubuntu probably lost ground to other classic desktops too, like MATE or Xfce, which are still light but offer a lot more features. To keep Lubuntu relevant, a change had to be made. As an example, on a fresh amd64 (64-bit) Kubuntu 18.04.1 install with two gigabytes of RAM and one CPU core (in QEMU), the idle usage with LibreOffice open and Firefox open to Lubuntu.me is about 1 GB of RAM and 6% idle CPU usage. [...] the point is that other distributions can now do what only Lubuntu was once able to do with ten year old hardware. You are welcome to also draw your own conclusions [...]. What's more, the Lubuntu developers are having a hard time maintaining the i386 architecture (32-bit) ISOs going forward, and they may stop releasing them unless they receive help in testing them. Lubuntu is an Ubuntu flavor that uses LXDE, a light desktop environment, by default. For the next Lubuntu version (18.10), the plan is to make the first LXQt-only release. LXQt is a Qt-based desktop environment which resulted from the merger of LXDE-Qt and Razor-qt, and had its first release back in May, 2014. You can read the complete Lubuntu blog article here.